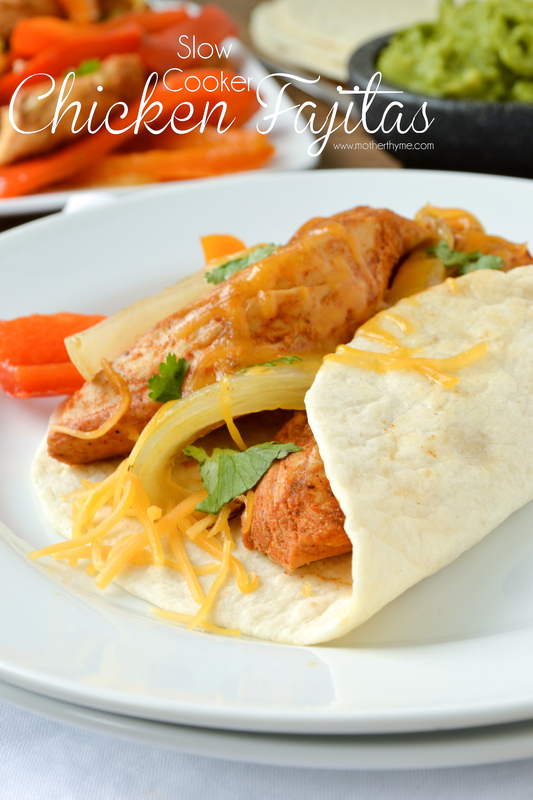 Slow Cooker Chicken Fajitas #PepperParty plus Le Creuset Giveaway! An easy recipe for Slow Cooker Chicken Fajitas that includes a tasty fajita marinade. 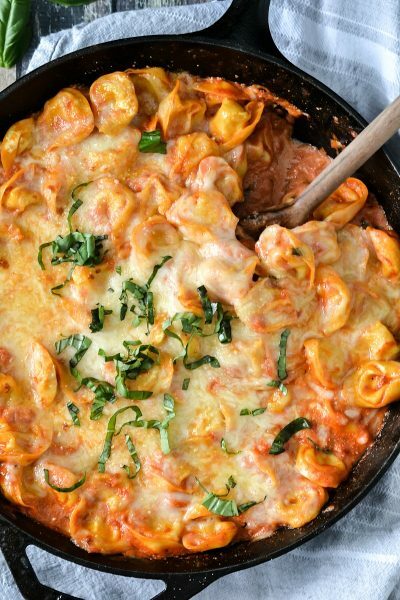 This recipe can easily be made in the oven too! I love Mexican food. At least once a week I have a Mexican dish on the dinner menu. One of my favorites are my Slow Cooker Chicken Fajitas. Large strips of chicken tossed in a delicious homemade fajita marinade and topped with bell peppers and onions. After five or six hours simmering in the crock pot, dinner is ready and waiting. Just warm up some flour tortillas and grab your favorite toppings such as guacamole, salsa, sour cream and of course shredded cheese for an easy meal great for those busy weeknights. 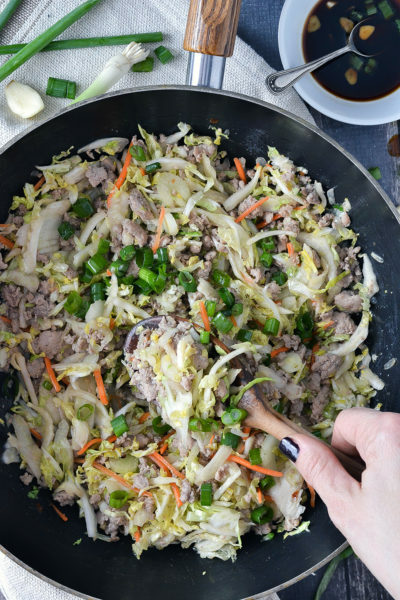 If you don’t have a crock pot, no worries. You can easily make these in your oven in about thirty minutes. 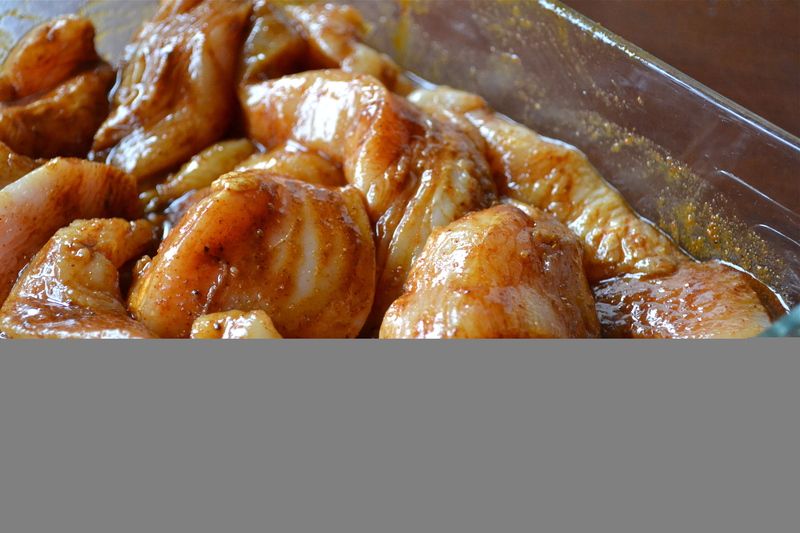 Toss the chicken in the marinade and and place in a 9×13 casserole dish. Drizzle the bell peppers and onions with olive oil and gently toss with chicken. Bake in a 400 degree oven for about 25-30 minutes. Easy as that! 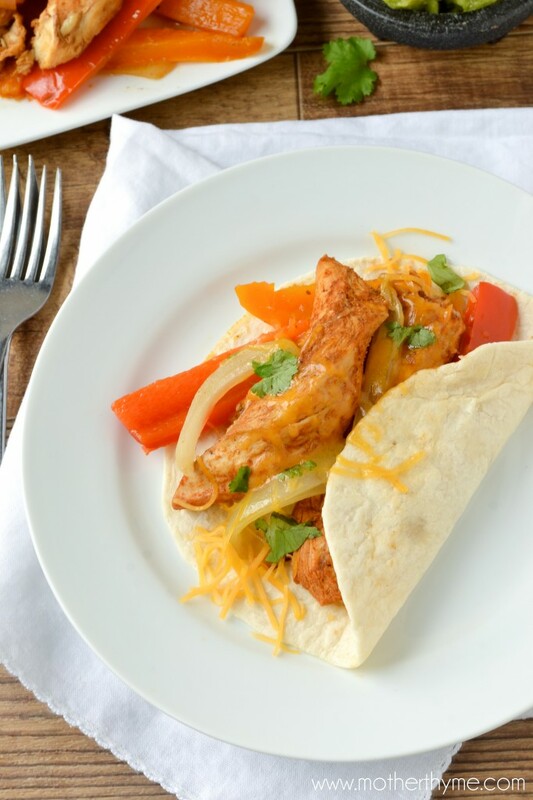 Whether you make these chicken fajitas in your crock pot or bake them in your oven, these will quickly become a family favorite you’ll want to add to your dinner menu again and again. Today kicks off Bell Pepper week! And what are fajitas without bell peppers? Over the next seven days, I’ll be joining some of my blogging buddies and Divemex where we will be featuring a variety of bell pepper recipes along with awesome giveaways, a Twitter Party and a PinChat. The growers of Divemex specialize in greenhouse grown peppers in state of the art facilities that facilitate the production of the highest quality peppers in some of the safest facilities anywhere. But most importantly, as a Fair Trade Certified company, they have an unwavering commitment to social responsibility that puts workers first. You can learn more about Divemex by visiting their website and join them on Facebook. If you love bell peppers you don’t want to miss the Twitter party tonight at 8:00pm where we will be chatting all things bell peppers. 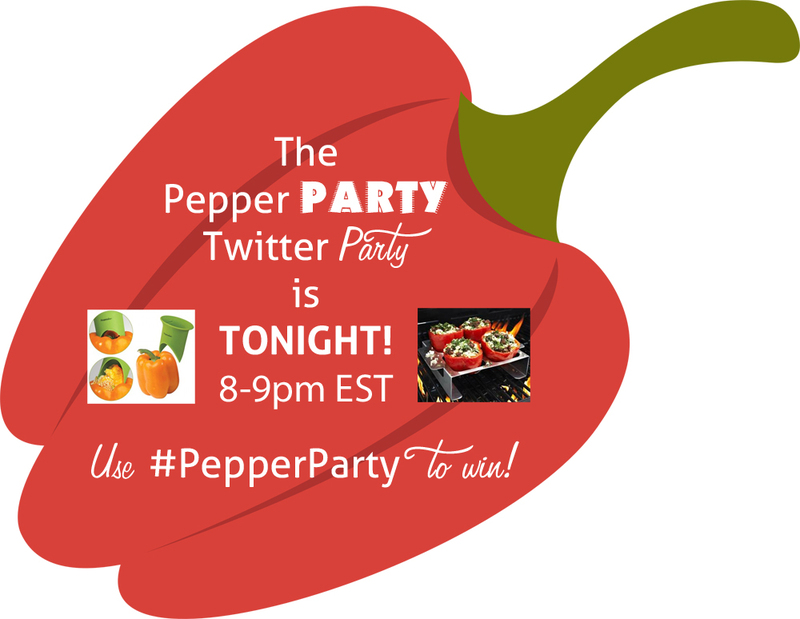 Follow along or join in using hashtag #PepperParty. How would you like to win a beautiful 3 1/2 quart Le Creuset Braiser valued at $240.00 to sautée your beautiful bell peppers in? I own this braiser and it’s the best. I use it almost everyday. 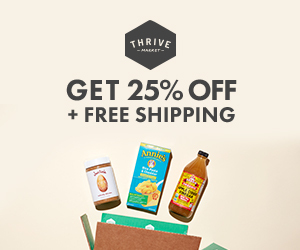 Scroll down to enter for your chance to WIN! 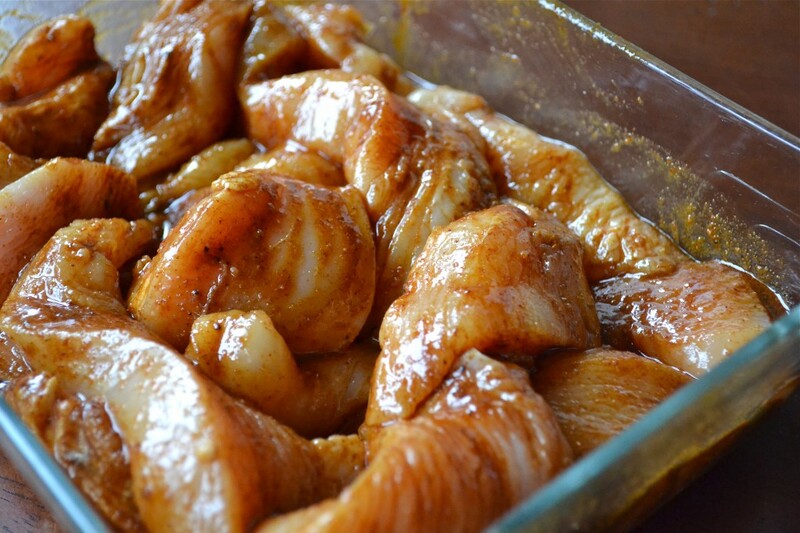 Step one: Mix marinade until blended and toss with chicken. Spray cooking spray in slow cooker and add chicken. Step two: Toss peppers and onions with olive oil and add on top of chicken. Cover and cook for 4-6 hours on low. In a medium bowl stir lime juice, vegetable oil, chili powder, worcestershire sauce, brown sugar, cumin, salt, garlic powder and pepper until blended. 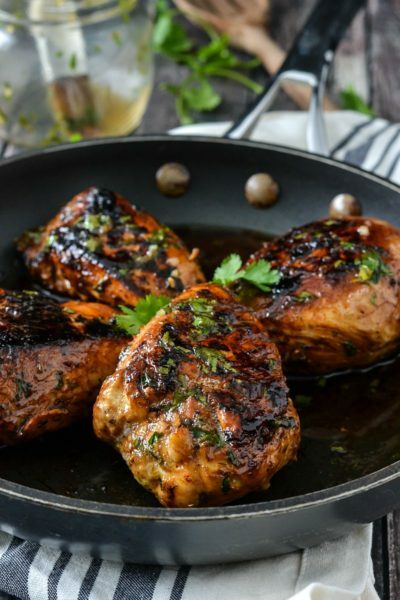 Pour sauce over chicken and toss to coat. Spray slow cooker with cooking spray and add chicken. Toss sliced onions and peppers with olive oil and add on top of chicken. Cover and cook on low for 4-6 hours until chicken is cooked thoroughly and vegetables are tender. 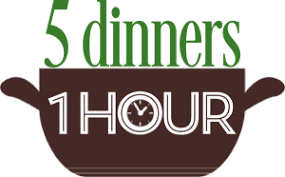 Slow Cooker cooking time varies depending on temperature of your slow cooker. Oven option- Preheat oven to 400 degrees. Toss chicken with sauce and place in an 9x13 casserole dish. Toss onions and peppers with olive oil and add on top of chicken. Bake for 25-30 minutes until chicken is cooked thoroughly. Enter using the entry form below for your chance to WIN a Le Creuset 3 1/2 Quart Braiser! I love love love stuffed bell peppers – it’s the best way to avoid a tortilla and still have that awesome filling! I must admit I really don’t like bell peppers, nor they me – but there are SO many other delicious things that could be cooked in that beautiful pan! 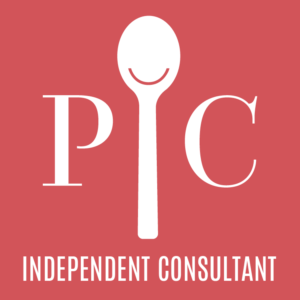 I’m always on the look out for good slow cooker recipes, thanks!! What an awesome idea. 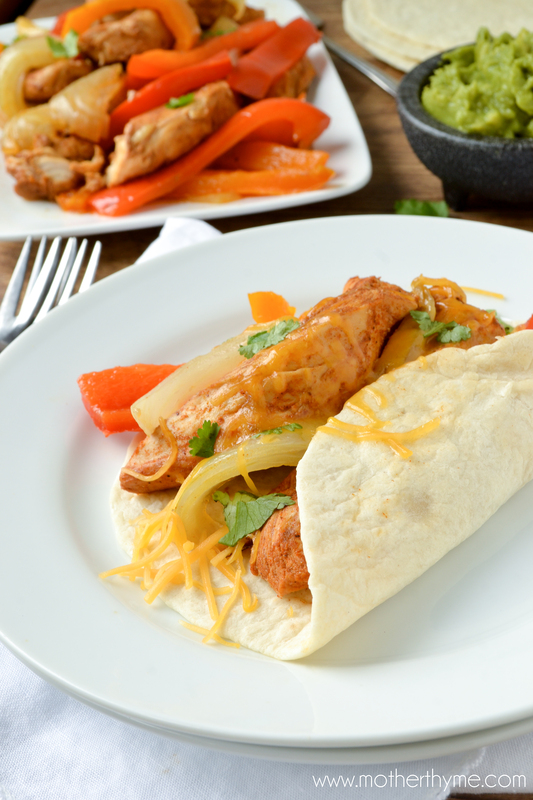 I’ve never thought to make slow cooker chicken fajitas–must try soon! Your fajitas look amazing! I think fajitas actually are my favorite pepper dish. Yum! 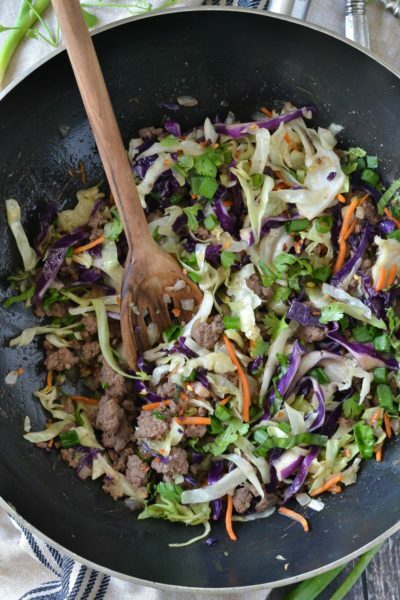 These sound so easy and yummy. Can’t wait to try them. I like them raw with hummus. I like to load my chili up with bell peppers, traditional or not. It’s delicious! Love roasted red peppers in sandwiches! 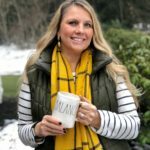 Super great giveaway and fajitas are a particular favorite of this family. Thanks. I love crock pot recipes! Cannot wait to try! I’m a Mexican addict as well. In fact we’re heading to the beach with friends today and I offered to make shredded beef burritos for dinner. 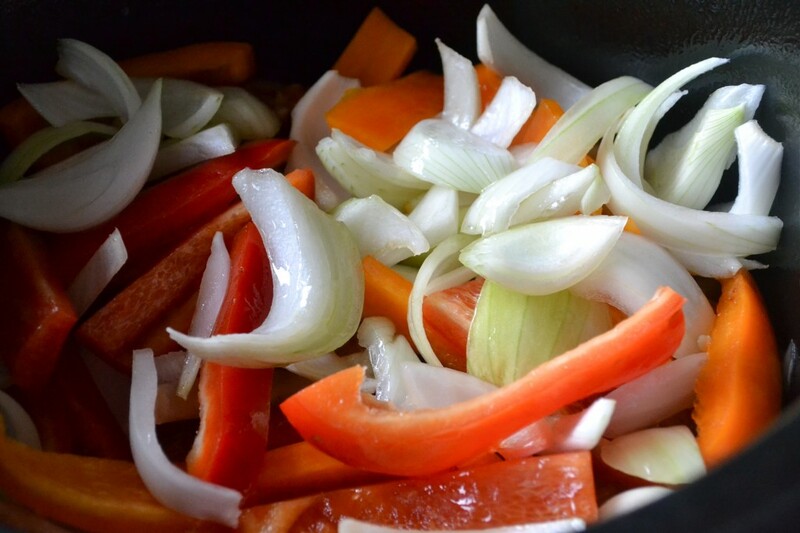 Fajitas are a regular on our menu but I’ve never thought to cook them in the slow cooker. Brilliant! 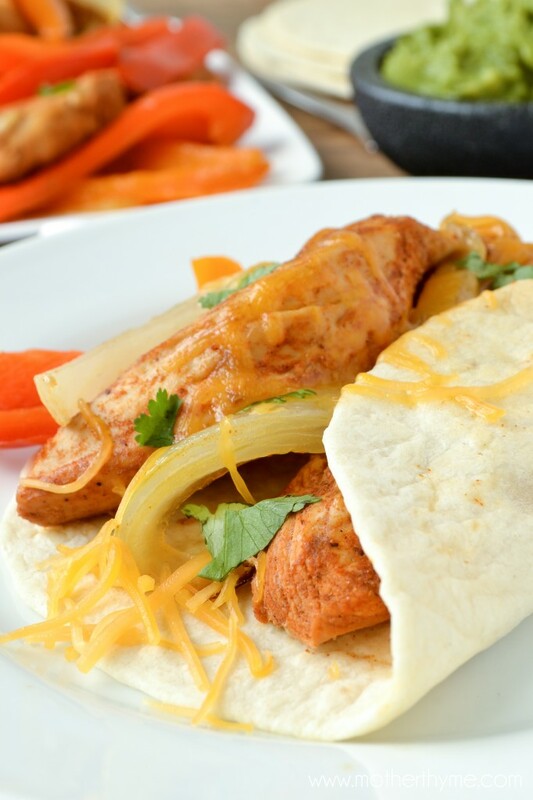 I love chicken fajitas, great idea to make them in the slow cooker! Peppers are so good in many ways: raw, on pizza, as stuffed peppers, and fajitas. I like this recipe; making them in the slow cooker is genius (but thanks for including the quick oven version, too). wow! those look delicious! trying this recipe pronto!!! I could eat fajitas every day and I would die totally happy! Yours are gorgeous! Mmmm, the photos are so tasty that I can’t take my eyes of them… Oh, I wish I could cook fajitas at home, but now I’m in a hospital( and I’ll be staying there two more weeks) . I understand you when you say that Mexican dish should be brought into family menu every week as they are so tempting and delicious in my opinion. They are very suitable for fall when the weather gets colder. I’m vegetarian so loved grilled peppers added to anything I make! Love that roasted red bell pepper/garlic hummus! Can’t wait to serve it at my next get together! My best friend’s gramma made THE best stuffed peppers. They were truly amazing. Grew up eating stuffed bell peppers..so I would say that has to be my favorite! I love red bell peppers. I think they are sweeter! I love stuffed green bell peppers, traditional and with a mexican twist. 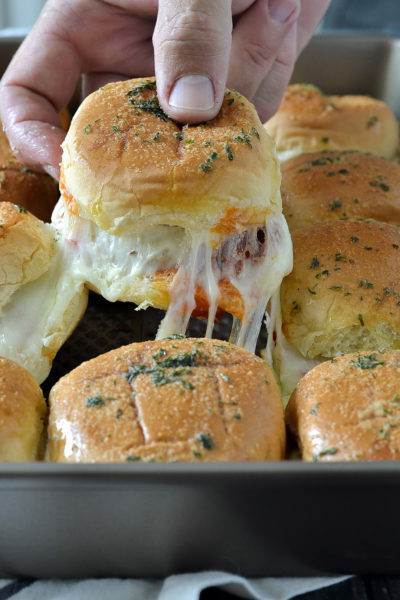 These look SO good, Jen! I clearly need to use my cooker more! I recently made a stuffed bell pepper soup that was so good! It’s a new family favorite in our house! I wanted to thank you for this recipe. It was truly delicious, and I was surprised how well it tasted reheated. My family liked it so much that today I prepped 2 batches for the freezer, for a quick meal to toss in the crockpot.